The Toyota Corolla is celebrating its 50th birthday this year, and to mark this momentous occasion, we’ve decided to take a look back at all eleven generations of the world’s most popular automotive nameplate. Unlike the model it overtook to claim the title of world’s most popular car, the original Volkswagen Beetle, the Corolla has – like Doctor Who – gone through many incarnations. 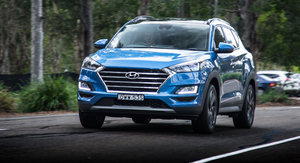 Here, we’ll be looking primarily at models sold in Australia. Apologies in advance if you came here looking for an in-depth discussion about the 1995 Toyota Sprinter Marino. Aside from a few notable models throughout its history, the Corolla hasn’t really been big on excitement. Although it’s cliché to say, the Corolla’s raison d’etre has always been affordability and reliability. Available as a two-door ‘sedan’, coupe, wagon and van, the original Corolla was sold locally with a 44kW 1.1-litre pushrod engine, rear-wheel drive, drum brakes at both ends, and either a four-speed manual or a two-speed automatic. The original Corolla is tiny by modern standards, measuring just 3848mm long, 1491mm wide, 1379mm tall, and riding on a 2286mm wheelbase. To put that in context, today’s Mini three-door hatch is larger in every dimension, except overall length. The current Mini measures 3821mm long, 1727mm wide, 1414mm tall, and sits on a 2495mm wheelbase. Fun fact #1: Australia was the first country to receive exported Corollas. Just 15 arrived in the first shipment in November 1966, and didn’t go on sale until 1967. Fun fact #2: Local production started in 1968 at Australian Motor Industries’ factory in Port Melbourne, Victoria, which used to produce Standard, Triumph and Mercedes-Benz cars, amongst others. Despite being majority owned by Toyota, the Port Melbourne plant continued to crank out AMC vehicles until the late 1970s. Toyota waited until the late 1980s to assume full ownership of the factory. Fun fact #3: The Corolla wasn’t the first Toyota to be made in Australia, it was preceded by the Tiara, which it effectively replaced, and the larger Crown sedan. Fun fact #4: Yes, Toyota has a crown fetish. The Corolla is named after the crown of petals, seen on flowering plants, which helps to protect the plant’s reproductive organs. Other Toyotas with crown-related names include the Crown, Tiara, Camry, and Corona. Launched in 1970, the local range expanded to include, over its lifetime, a two-door sedan, two-door coupe, three-door van and five-door wagon body styles. Engine capacity grew slightly to 1.2 litres, with power going to the rear wheels either via a four-speed manual or two-speed auto. 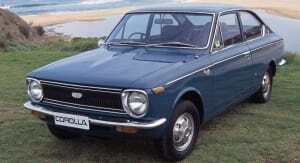 Fun fact: By 1970, Corolla had, globally, already broken through the one million sales mark. The new Corolla’s softer, rounder shape was the first to be crafted with the aid of a wind tunnel. 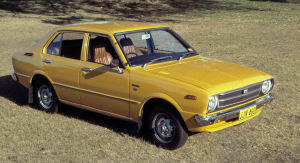 Launched in 1975, the KE30 Corolla range was available as a five-door wagon, two-door coupe, and three-door panel van. Although earlier generations were available overseas as a four-door sedan, this was the first Australian Corolla to be available in that configuration. Initially fitted with a 1.2-litre four-pot with either a four-speed manual or two-speed auto. 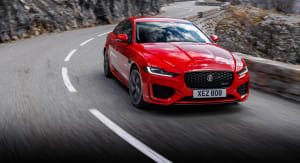 A later update would expand the engine to 1.3 litres, and give buyers the option of a five-speed manual and a three-speed automatic. Fun fact: Local annual sales hit 20,000 in 1975, a mark that the Corolla has managed to stay above ever since. CarAdvice anecdote #1: Mike Stevens’ first car was a KE55 coupe. While it was a sweet little thing, Mike’s abiding memory is that it was the car in which he learnt how to drive manual. Before obtaining his licence, Stevo would take the little two-door out around his sleepy little suburb, and crunch and grind his way through the gears until shifting ratios became ingrained into his soul and muscle memory. CarAdvice anecdote #2: One weekend, a very long time ago, Matt Campbell, in a VL Commodore, and some of his mates, one in a KE30 Corolla, decided to drive from Cooma to the coast for a spot of fishing on the coast. The weather turned sour along the way, and the group decided to head back home via a scenic route. During the drive back, Matt’s friend, Chris in the Corolla, pulled over suddenly. Everyone followed suit, thinking that his clapped out Corolla had finally given up the ghost. Instead, he was bloody and covered in shattered glass — the car’s non-laminated windscreen was converted from a solid pane into a thousand tiny pieces thanks to a stone thrown up by a truck in front. Although the rain had eased up, the temperature was now chilly and driving along without a windscreen wasn’t doing Matt’s friend any favours. Eventually the group found a wrecker and a temporary perspex screen was fitted to the car. Unfortunately that perspex pane wasn’t a perfect fit, with a gap of about five centimetres at the top and the bottom. Despite fog, snow, and only wearing a t-shirt and shorts, Chris made it back home safely, albeit bluer and a little worse for wear. Although the fully imported 1.8-litre three-door liftback went on sale in 1979 as the Toyota T-18, it wasn’t until 1981 that local production of the squared-off KE70 sedan, wagon and panel van range began, a few years after most of the world. 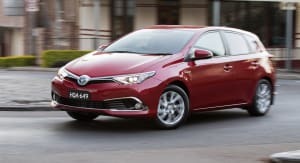 This situation would persist up until the end of local manufacturing in 1999, with the introduction of new Corolla models to Australia lagging several years behind Japan. 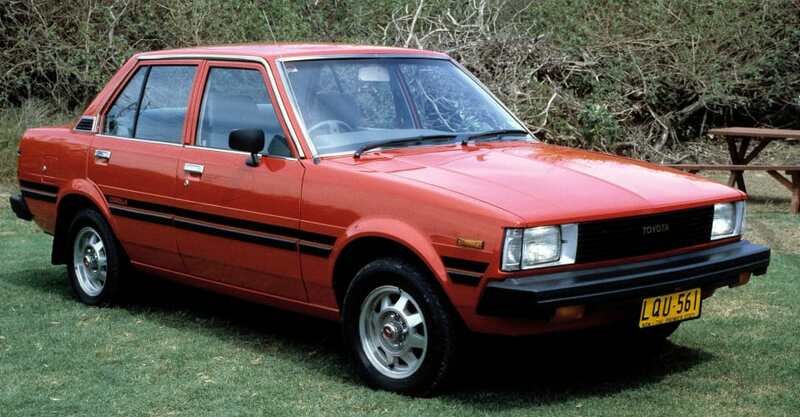 Fun fact: Corolla blew past 10 million vehicle sales across the world in 1983. CarAdvice anecdote: Back in the late 1980s, Rob Margeit owned a rusted out, bright yellow E70 Corolla. Aside from its reliability, its key strength was that on the less than gentrified streets of 1980s St Kilda, it wouldn’t attract any undue attention. In the end, he ended up trading it with his neighbourhood’s ‘person of interest’, whose income sources were dubious at best. In a straight swap, Rob traded away his yellow rattler for a fully restored 1976 Beetle with a 1.6-litre engine. As Rob tells it, he couldn’t believe his luck because “all he wanted was another project car, and he could see hours and weeks and months of tinkering value in the Corolla”. It should be noted that back then, original Beetles weren’t cool hipster mobiles with Toorak tractor prices: a poorly maintained model could be had for around $500, while a decent unit would go for around $1500. Despite looking like it was styled by a man wielding only a set square and a pencil, the AE80 Corolla was the first to be designed with the aid of computers. 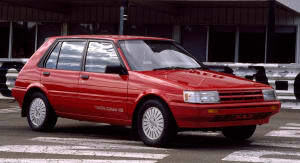 Not only that, but the AE80 transitioned the mainstream models to a more space efficient front-wheel drive platform. Again, the AE80 range started trundling down the local production line a few years after its introduction overseas. The Australianp-made range included a four-door sedan, five-door hatch, and five-door Seca liftback. Fun fact: Although Australian production of the Corolla began only two years after the nameplate was launched, it wasn’t until 1984 that the US began producing its own Corollas, although for the first few years they were exclusively badged as the Chevrolet Nova. The NUMMI (New United Motor Manufacturing Incorporated) factory in Fremont, California, where the Corolla and its derivatives were built, was a joint venture with General Motors. Initially a GM exclusive plant, it was once notorious for its militant local union and the deplorable build quality of the vehicles built there. Despite Toyota’s involvement turning the factory from GM’s worst to its best, the Fremont factory closed down in 2010 in the wake of GM’s bankruptcy. It was later purchased by Tesla, who converted the old NUMMI site into the factory for its Model S sedan and Model X crossover. While the bread-and-butter models in the Corolla range made the switch to a new front-wheel drive platform, the AE85 and AE86 two-door coupe and three-door liftback persisted with rear-wheel drive. 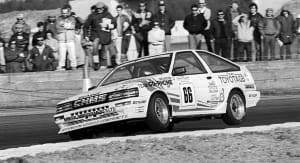 The AE86 was sold down under as the Toyota Sprinter, but missed out on the 96kW 1.6-litre 4A-GEU motor that graced Japanese domestic market models. Our cars made do with the 86kW 1.6-litre electronic fuel-injected 4A-GE engine. So, it wasn’t quite the same car that was made famous by the Initial D manga comics and subsequent anime series. Nonetheless, it had most of the sweet handling that later come to influence the Toyota 86 and Subaru BRZ. CarAdvice factoid: Trent Nikolic has owned not one, but two AE86 Corolla Sprinters. Read about his experience on the Hakone Turnpike in an AE86 Sprinter and a 2JZ Supra. Although the wedge shape was ditched for this generation, the Australian-made range still consisted of a four-door sedan, five-door hatch, and five-door Seca liftback. 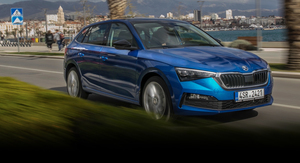 The company also imported a stepped-roof wagon with standard all-wheel drive. The highlight of the range was the GTi hatch, and later SX five-door liftback. Both of these cars used a 100kW version of the 1.6-litre 4A-GE motor. 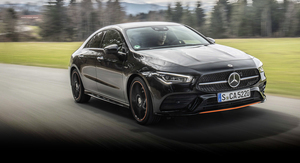 For this generation, the two-door coupe and three-door liftback models, which were never officially sold here, joined the rest of the range on the latest front-wheel drive platform. Fun fact: As part of the Button plan that encouraged model sharing amongst local manufacturers, Holden abandoned its existing partnership with Nissan, where it sold the locally made Pulsar as the Astra. In its place, GM’s local arm formed a joint venture with Toyota, and began retailing the Nova, a rebadged Corolla sedan and hatch with altered head- and tail-lights treatments, as well as a new grille and bumpers. The Toyota and GM alliance also begat the Holden Apollo, a rebadged Toyota Camry, and the Toyota Lexcen, a Holden Commodore with new badges. CarAdvice anecdote: This writer’s first car was a peppermint green automatic 1.6-litre Seca CSi Limited liftback. 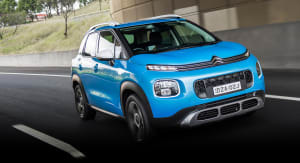 Even then I knew it was about as exciting as a hand-me-down cucumber sandwich, and speed humps, which were just coming into vogue at that time, sent the car’s rear end pogoing off to the Nullabor. These gripes mattered little, though, as the thrashy little peppermint wonder meant that all of Sydney and beyond was now within relatively easy reach. That is, until it taught me a serious lesson about lift-off oversteer, and the importance of crumple zones, seat belts and insurance. 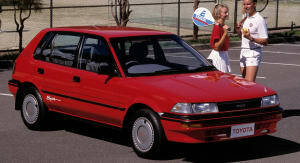 The AE100 Corolla was launched in Australia in 1994, a few years behind the rest of the world. The delay, this time, was attributed to the company’s wait for its new factory in Altona, Melbourne, to open. Just two body styles were made locally, a four-door sedan and five-door hatch. Prior to the state-of-the-art factory’s opening, Australians were given an early taste of the AE100 Corolla range when the company imported the Sprinter five-door liftback. With a starting price around the $30,000 mark, though, there weren’t that many takers. 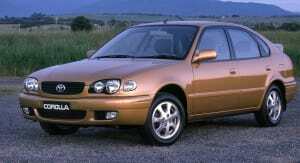 Fun fact #1: The AE100 was the last ever Corolla to be made in Australia. During its 30 years as a locally prouduced car, Toyota’s local plants churned out over 666,700 Corollas. 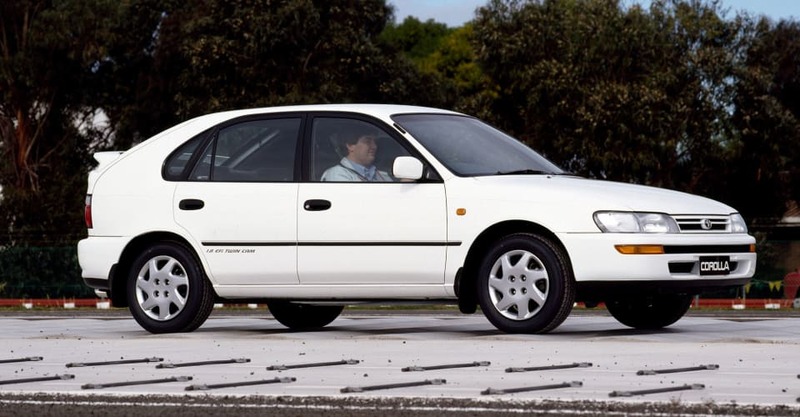 With car tariffs winding down, the business case for a locally made small car became harder and harder to justify, and in 1999 the last Aussie made Corolla rolled down the line. Until Holden started Cruze production in 2011, it seemed as though the 1999 Corolla would be the last ever small car made in Australia. Fun fact #2: As with the previous generation, the AE100 Corolla was sold in Australia as the Holden Nova, which featured unique grilles, bumpers, and tail-lights. Fun fact #3: Some time in 1997, the Corolla sales crossed the 20 million mark, and also overtook the Volkswagen Type 1 (Beetle) as the world’s most popular car of all time. CarAdvice factoid: Curt Dupriez owns a 1996 Toyota Corolla Conquest sedan. Despite its 230,000km of tireless service, it, in his words, “drives better than some press cars”. Again, we got our first taste of the AE110 range a bit later than the rest of the world. The AE110 began its Australian career when an imported liftback model, with a bug-eyed headlights and a chromed cheese grater grille, was sold alongside the older, locally produced AE100 range. When Australian production of the AE100 range ended in 1999, they were replaced a facelifted version of the liftback, and a new-to-Australia sedan. Thanks to the bursting of Japan’s asset bubble and the ensuing recession, the AE110 Corolla was engineered with a carryover platform and a strict “cost down” mantra, which meant that the new car lost the previous model’s Lexus-lite feel. Fun fact #1: With this generation, Toyota began to taylor the exterior design of the vehicle for different regions. Japan, Europe and North America all different front- and rear-end styling; Australia was treated to the European version. Fun fact #2: Toyota Australia sold a limited run of locally developed Sportivo models. 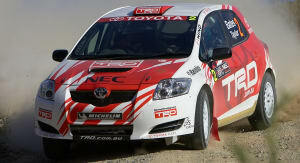 Fitted with an aftermarket turbo kit, the 1.8-litre Sportivo boasted 115kW of power and 237Nm of torque. The modestly increased power and torque numbers couldn’t unshackle the car from its hefty $37,990 price tag. The Corolla kicked off the new millennium by throwing off the shackles of Japan’s lost decade. The ZZE120, which made its local debut in 2001, featured an all-new platform and a larger designed-in-Europe body. Again, slightly different designs were applied to European, Japanese, Asian and American models. For the first time in two generations, the Corolla was offered locally as a wagon, as well as the more popular four-door sedan and five-door hatch body styles. The majority of ZZE120 Corollas sold in Australia came with the 1.8-litre four-cylinder petrol engine, which topped out with 100kW of power and 171Nm of torque. A small number, though, were sold with highly strung 2ZZ-GE 141kW/180Nm 1.8-litre from the Celica. Fun fact #1: When production of the ZZE120 range ended in the UK, the final Europe-only three-door Corolla hatch marked the end, for now at least, of two- and three-door Corolla models. Fun fact #2: Propelled in part by strong sales of the Corolla (36,128), Toyota snatched the title of Australia’s number-one car brand from Holden in 2003, and has barely looked back since. In order to keep up with the automotive Joneses, the Corolla grew once more. The sedan, targeted at Asia and America, pushed its length past the 4.5-metre mark, and is actually larger than the first-generation Camry. As hatchbacks were the preferred small car format in Europe, Toyota sought to break its way past the Corolla’s reliable if dull reputation with the new Auris hatch. Despite sharing the Corolla sedan’s platform, the Auris was given a completely distinct body and interior. For the Australian and New Zealand markets, though, the local Toyota arms were allowed to retain the Corolla badging. These bigger vehicles ensured continued sales success in export markets. Back home, though, Toyota offered similarly styled sedan and wagon models that were narrower and shorter than the models sold elsewhere. By keeping the domestic Corolla’s dimensions in check, Toyota made sure that its most popular model stayed on the right side of the Japanese tax man’s measuring tape. Fun fact #1: The Toyota Blade, a version of the Auris (our Corolla hatch), was sold in Japan with a 3.5-litre V6. Fun fact #2: Designed to cash in on the cult success of the much smaller Toyota bB and show that the brand be hip to the jive, Toyota sold the Corolla-based Rukus tall hatch down under from 2010 to 2015. Known as the Scion xB in the US and as the Corolla Rumion in Japan, the Rukus wasn’t successful enough to warrant a second act. 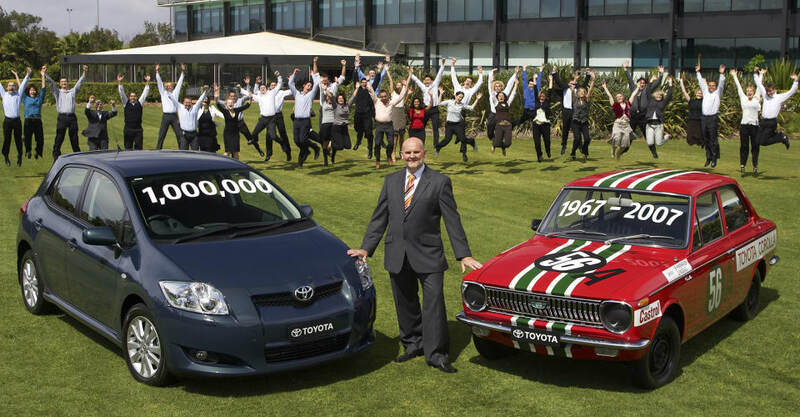 Fun fact #3: In 2007, Corolla notched up its millionth sale in Australia. 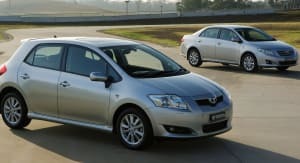 Fun fact #4: Coinciding with its 2009 facelift, Australian-bound Corolla five-door models no longer bore Seca badging, marking the demise of the sub-brand that was in use since 1985. In 2012, Toyota Australia launched the latest generation Corolla hatch, which was once again sold as the Auris in Europe and Japan. A new generation of the sedan didn’t arrive on the scene until 2014. Even with the older sedan in tow, the Corolla overtook the Mazda 3 to become Australia’s top selling vehicle in 2013, a spot it’s managed to keep ever since, although sometimes by a narrow margin. Fun fact #1: To date around 44 million Corollas have been sold worldwide. 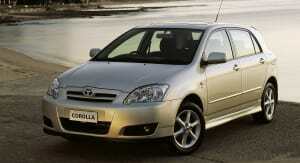 Averaged out over the nameplate’s lifetime, one Corolla has been sold every 36 seconds. The Corolla tally stands head and shoulders above the Ford F-Series (at least 33 million) in second place, and the Volkswagen Beetle (21.5 million) in the final podium spot. These models have already well and truly eclipsed the Ford Model T (16.5 million). Fun fact #2: Toyota estimates that in 2015, on average 3670 Corollas were sold every single day, or a total of 1,339,550. Fun fact #3: When Toyota introduced the Corolla Hybrid to the local range in 2016, it was the first time in over a decade that Australians have been given a second engine option in the Corolla range. Unlike some other small car makers — we’re looking at you Subaru and Mitsubishi — Toyota never really showed an interest in parlaying the its track and rallying successes into a road-going, globally available sports model that could burnish the Corolla’s street cred. So, it’s easy to forget, then, that the Corolla once dominated its class at the Bathurst 1000, notching up eight consecutive class victories between 1985 and 1992. 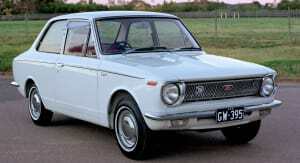 The Corolla also won its class in the 1968 and 1969 iterations of the Bathurst 500. The Corolla also took out the WRC manufacturers’ title in 1999 while locally, the Corolla won the Australian Rally Championship in 2006, 2007, 2008, and 2009, first with the Corolla Sportivo and then a S2000-spec model. What’s your favourite and least favourite Corolla? Let us know in the comments section below. And don’t forget to share any interesting Corolla related stories you have too.